Ultra Clean Melbourne Will make your mattress look and feel like new again, most people over look the importance of steam cleaning a mattress, just like carpets and upholstery the mattress is made up of fibres, and these fibres can accumulate all sort of things, such as dead skin from our bodies, dust mites, bacteria and bedbugs, without a deep steam clean you can’t get them out. 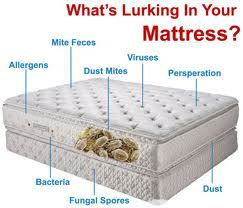 There are two ways of cleaning mattresses, which is with an ultra violet light or a steam clean. Here at Ultra Clean Melbourne we prefer the steam cleaning method, with a steam clean we get right down deep into the fibres of the mattress extracting all the bedbugs and bacteria that live there. Those that suffer from allergens such as asthma or dust related allergies would find the process of a deep steam clean on a mattress very beneficial. Ultra Clean Melbourne team firstly inspects the mattress to look for any stains that may need to be treated before the cleaning process. Cleaning solution is applied, this helps to lift stubborn stains. We then start deep steam cleaning and sanitising process, getting deep down to base fibres for a thorough clean and eliminating any bacteria. Then a final deodorising, this leaves the mattress feeling fresh and clean.